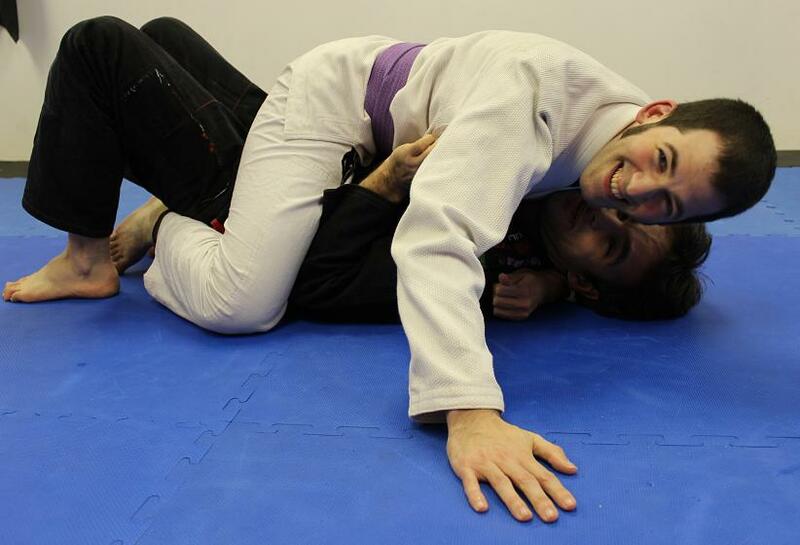 At the end of last month, we learned how to transition from side control into mount. The mount is one of two positions that are generally viewed as the most dominant in BJJ: the other is back mount, the reverse of this position. That dominance is reflected by the value ascribed to mount and back mount in competition, where either will net you four points (unless it is the superior format of submission only, where there are no points). Although mount is arguably a better position than side control, it takes a little longer to become comfortable in mount. A beginner may feel less stable, as they are still getting used to controlling their opponent’s hips and learning how to best distribute their weight. As with so much in jiu jitsu, the hips are key in mount. If you are sat directly on top of their hips, they can significantly affect your balance by thrusting those hips up. Therefore you need to either establish control with your legs and arms as well as your weight distribution if you’re on top of their hips, or you need to move up their body so that their hips no longer have as much impact on your balance. Broadly speaking, mount can be split into two main variations, low mount (as per the picture above) and high mount (where you move your knees up into their armpits). There are several sub-positions, the most important of which are probably technical mount (also known as seated mount) and s-mount (a good platform for launching armbars). As March progresses, you will be learning the classic escapes from the mount this month, the upa and the elbow escape. We’ll also look at holding the mount, along with a few submissions from that powerful position.